If I mentioned the company Quality Candy, you probably wouldn't recognize it right away. But then if I said King Leo Peppermints or old-fashioned Candy Sticks, chances are you'd say, "Oh yeah! I know them." King Leo and Gilliam Candy Company both fall under the Quality Candy umbrella, and they're branching out with some new products. The box says, "Soft Right Out of the Box," which made me think these would be chewy, almost like a taffy. But instead, they were "soft" in a buttermint kind of way. They're almost sort of hard, but then smooth and melty at the same time. I was trying to think how they could describe these more accurately, but I'm having a devil of a time coming up with the right words. "Tender" seems to fit, but I hate that word. "Smooth" suggests more of a glass-like hard candy. "Buttery" would be weird with the fruit flavors and "Crumbly" might be too harsh. "Airy" might be a good fit. I don't know; I'm not trying to change their marketing. Just suggesting that "soft" might be a little misleading. No-Nuts agreed. Onto the taste. These are yummy. Because the pillows are very pastel and pretty, it almost seems like they'll have a delicate fruit flavor. But no, these pack a juicy, fruity punch that is almost surprising. The lemon was bright and fresh, kinda sour, kinda sweet. The watermelon made me think of Wacky Wafers and made my tongue pucker. Very tasty. As for the Gilliam's Candy Sticks, well these are just a classic, no buts about it. (You may recall that the Sugar Baby had his first one recently.) These remind me of summer vacations through New England. They were always cheap, like 10 cents a stick, so you could buy a bunch of different flavors for less than a dollar. Another new product line are their Chocolate Crunchy Patties in raspberry, lemon, peppermint and orange. It's difficult for me to describe these accurately, because it's been so hot here I've had to keep them in the fridge and I think that really affects the texture. The chocolate covering is laden with little hard-candy crunchy bits (very tasty), but it's the center I'm having difficulty with. Out of the fridge, they're like crumbly creams, almost like a thick York Peppermint Pattie kind of texture. They'd be better if the filling was softer, but maybe it is and they just got a little wonky from being in the cold. Is your mouth watering yet? Good, because I'll be sending one lucky recipient an assortment of King Leo and Gilliam products. All you have to do is leave me a message answering this question: If you were to be a Soft Candy Puff, what flavor would you be and why? I'll pick a lucky Yumster on August 30 at approximately 4:35 p.m. Fine print: Please live in the Continental U.S. and be sure to leave a way for me to contact you. You'll have 48 hours from the time I announce the winner to get me your mailing info. Thanks, and good luck! If I were a soft candy puff, I would have the flavor of hazelnut chocolate ....whataya think? Would that be a good flavor? How about cotton candy? Or orange creamsicle? Aww, I never heard of any of those candies! I would be Soft Strawberries and Cream Puffs... because my sister is allergic to strawberries, so she wouldn't try to eat me :D! I think I would be a soft lemon puff. I love citrus. Since it is so hot, I drink a lot of iced tea during the day. 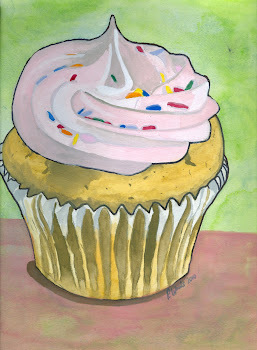 A soft lemon puff sounds like a perfect candy to go with my tea habit, to add some sweetness and brightness to the day. I would be sour apple so that when a person eats it, their lips will pucker and people can laugh at the faces they make. I would be a soft Peppermint Puff because I'm sweet, refreshing and leave a good taste in your mouth! Thanks for the great giveaway! I would be coconut. You can't be anxious or stressed with coconut around. It's relaxing and beachy and makes you want to lay around in a hammock reading and watching the waves. i would be latte flavored. mmmm. i can just smell the coffee and cream aroma. it would go so well with that smooth, creamy melt. i can practically taste it now. I would like to think I'm a Key Lime Pie...but I might actually be more of a plain ol' Peppermint. 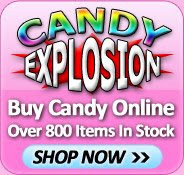 How come it took me this long to figure out you have a candy blog? While I should say that my soft candy puff would have air inside (clearly, I'm an airhead! ), I'm going to say raspberry - the zingy fruitberry. I had thought about licorice as well - the unexpected classic... but I'm past that old fangled taste these days! You know what flavor always makes me happy? Toasted coconut. So comforting. I'd definitely wanna be a toasted coconut candy puff. I would be a cardamom-flavored puff. I like to cook with cardamom but even more I love its flavor in sweets, such as the too-rare cardamom ice cream or cardamom chocolate if I'm lucky. I would be peppermint. Creamy then refreshing and you can taste it in your mouth for hours. yummy! If I were a soft candy puff, I'd be cinnamon flavored because all the sweetness needs a little bite behind it. Or black licorice. For the very same reason. Maybe it has to do with being a derby girl? Definitely orange. I love orange! Everything orange is super delicious to me. I would be Cherry, sweet and complex with many varieties, but watch out for the pits! I would be creme brule. Is there anything better then the smell and taste of a perfect creme brule? I would be mushroom flavored because then i would not get eaten by sugar baby. i would be a soft mushroom puff so sugar baby wouldnt eat me. If I were a soft candy puff, I'd be Watermelon flavored. That way I could take the sweet crisp taste of a warm summer day along with me wherever I go! I would definitely be the soft lemon puff! I'm the only person I know that enjoys eating plain lemon wedges- definitely my favorite treat but oh so horrible for the teeth. Because even candy is better for my teeth than lemon wedges, I've always opted for lemon flavored snacks. I've always loved lemon flavored candies and these look really tasty and cute! I've only tried the Peppermint flavor of these (and they are awesome), but I'd love to try out some of the other flavors as well. Thank you so much for sharing with your readers, very sweet of you! Vanilla. So simple, but delicious! 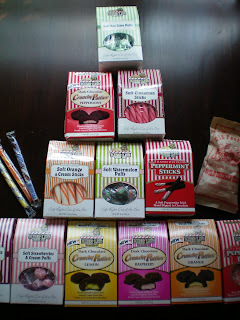 Sweet Treat of the Week: Kelly's Candy Stand! Reese's Dark Giveaway! Free Candy! Free Candy! Now and Later Soft: Chew on These! Little Boys + Tired Mommies+ Candy= Good Fun!